Guests were in tears earlier this month as a toddler walked down the aisle at the wedding of the woman who saved her life. 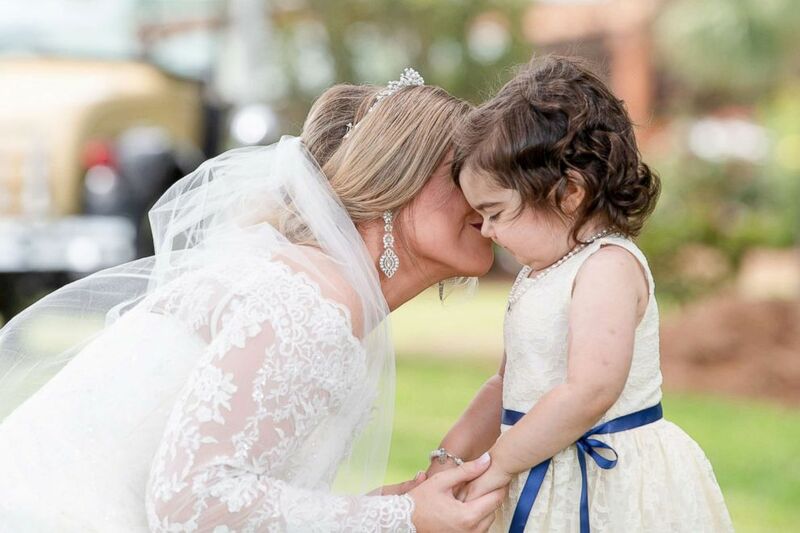 Skye Savren-McCormick, 3, served as the flower girl for bride Hayden Hatfield Ryals, 26, who was Skye's bone marrow donor. Savren-McCormick said that during the wedding, her daughter "stepped out and took a giant, handful of flowers and threw them on the ground. One of the bridesmaids said everyone was ugly crying." 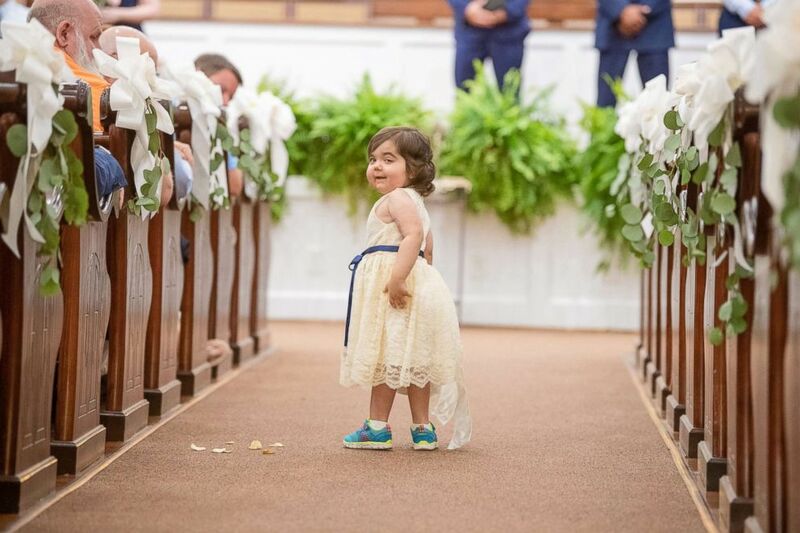 Skye Savren-McCormick, 3, walks down the aisle as the flower girl for her bone marrow donor's wedding on June 9, 2018. Skye was diagnosed with juvenile myelomonocytic leukemia in March 2016, just before her first birthday. That same year, she had her first bone marrow transplant, from Ryals, and later, a vital infusion of cells. Skye's final transplant was April 2017. Savren-McCormick said that Skye wouldn't have made it to her final transplant if it had not been for Ryals. 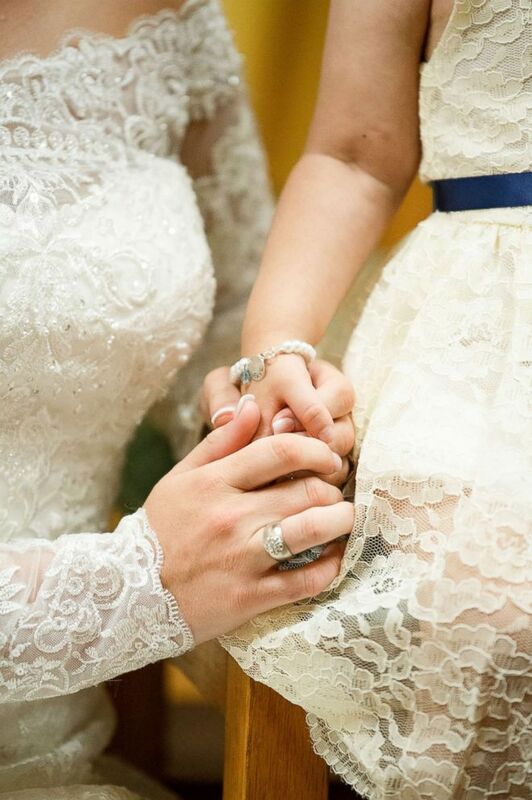 Skye Savren-McCormick holds hand with her bone marrow donor, Hayden Hatfield Ryals on her wedding day, June 9, 2018. "She was that sick," Savren-McCormick said. "I feel like Hayden is such a huge success in why Skye was able to beat leukemia." 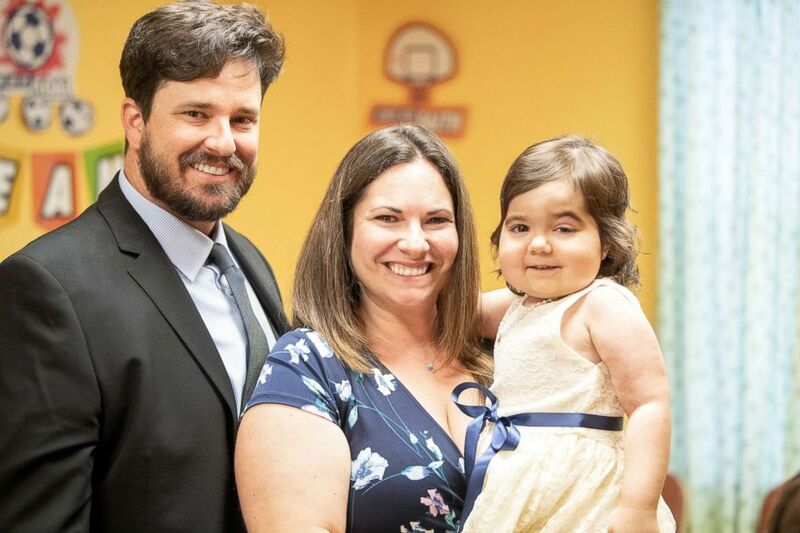 Months after her transplant, Savren-McCormick and her husband Todd received a letter from Ryals who reached out through Be the Match, the organization to which Ryals donated her bone marrow. 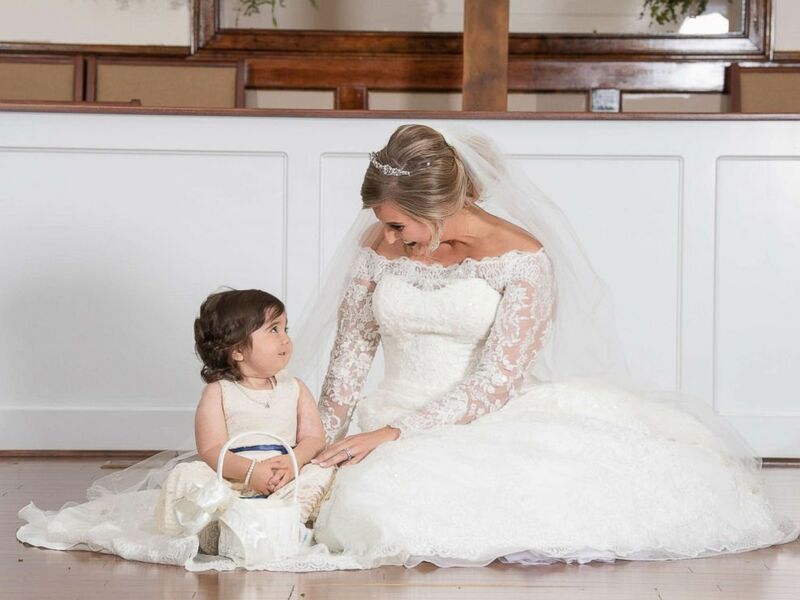 Skye Savren-McCormick, 3, seen with bride Hayden Hatfield Ryals on her wedding day, June 9, 2018. Ryals and the Savren-McCormicks exchanged texts and Facebook messages until Ryals sent Skye a gift for her third birthday. Inside the card was an invitation asking the toddler to be the flower girl at her June 9 wedding. After Skye's doctors gave her a clear bill of health, she and her parents made the trip to Alabama. At the wedding rehearsal, Skye and Ryals embraced for the very first time. "I walked up and I just dropped to my knees and all I could do was smile," Ryals told ABC's World News Tonight. Skye Savren-McCormick, 3, seen with her parents, Talia and Todd Savren-McCormick of Ventura, Calif.
Skye Savren-McCormick, 3, served as the flower girl for bride Hayden Hatfield Ryals. Ryals, 26, was also Skye's bone marrow donor. Savren-McCormick said that her and Ryals' families hope to see each other again soon. "They are going to be part of our lives forever," Savren-McCormick added. "She saved our daughter's life."